Welcome to Atlanta Cello Lessons, home of the private cello studio of Daniel Holloway! Looking for cello lessons in the north metro Atlanta area? Well you’ve come to the right place. 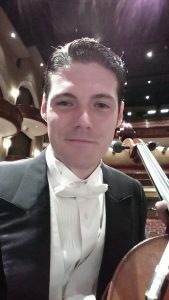 Mr. Holloway has been teaching cello since 2003 and offers private instruction at your home or at his home studio in Canton/Holly Springs, GA. Please use the contact page to inquire about lessons and Mr. Holloway will get back to you asap.